Have you seen these Fugitives at the Faire? More news has come in about the dangerous fugitives, rumoured to be hiding out in the Faireland – as we warned in our recent post. 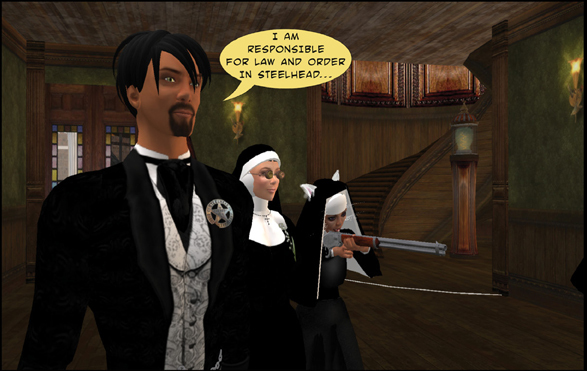 Now further news has come in from Steelhead, where their crimes were apparently committed. 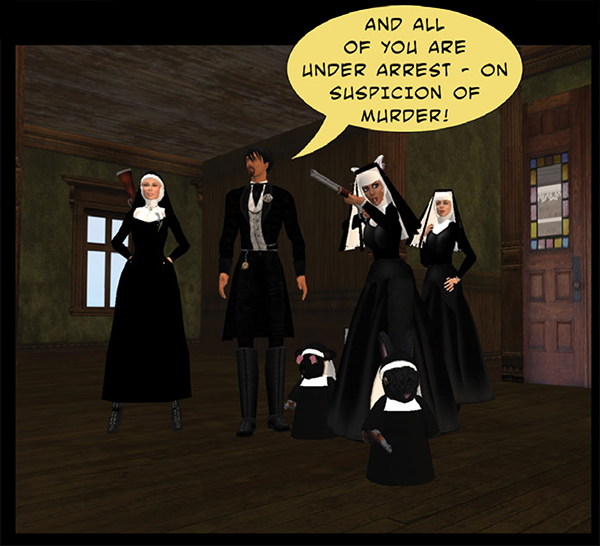 Demetrius “Fuzzball” Ortega, Marshal of Steelhead City, has informed us that he and his deputies – the famed “nun gunnies” – were investigating an anonymous tip regarding a disturbance at the home of a Mr. Carruthers. 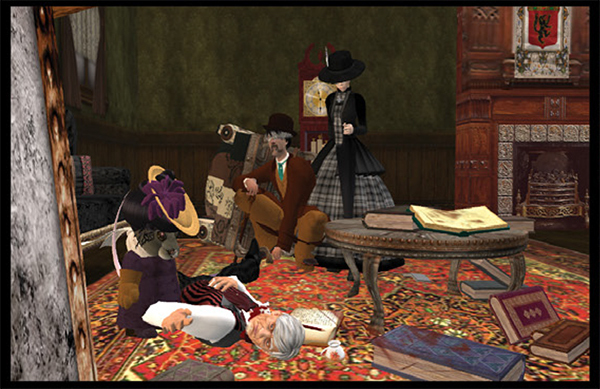 The Sisters and the Marshal arrived to find the……”Questers” in the house, standing over the dead body of Mr Carruthers. Except that a mysterious accomplice disguised themselves as one of the deputies, bringing the Marshal some tea. 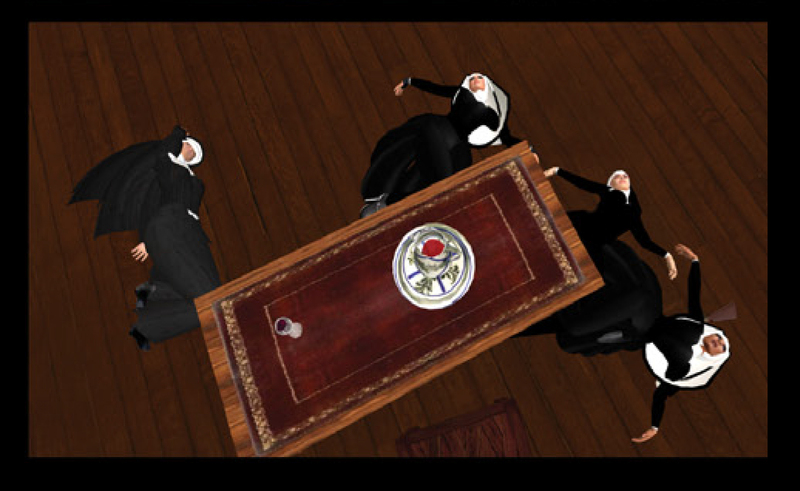 The tea was drugged, and as the Marshal passed out, they made their escape – having previously drugged the Deputies too! Now the Marshal says that he has received a variety of communications suggesting that these “Questers” are in the Fairelands! 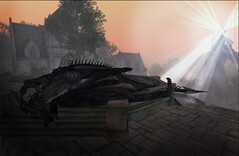 There are several mysterious characters visiting the Faire with the words “Quest for the Golden Prim” or more simply the cryptic “QGP” in their titler. If you speak to them, they’ll be happy to tell you more – and they’ll share their calling cards with you too. It’s said that they’re based at the Explorers’ Club on Lotus Valley Dream – where it is rumoured that this delightful establishment is harbouring secrets of its own (as well as the ONLY washroom in the whole of the Fairelands!). 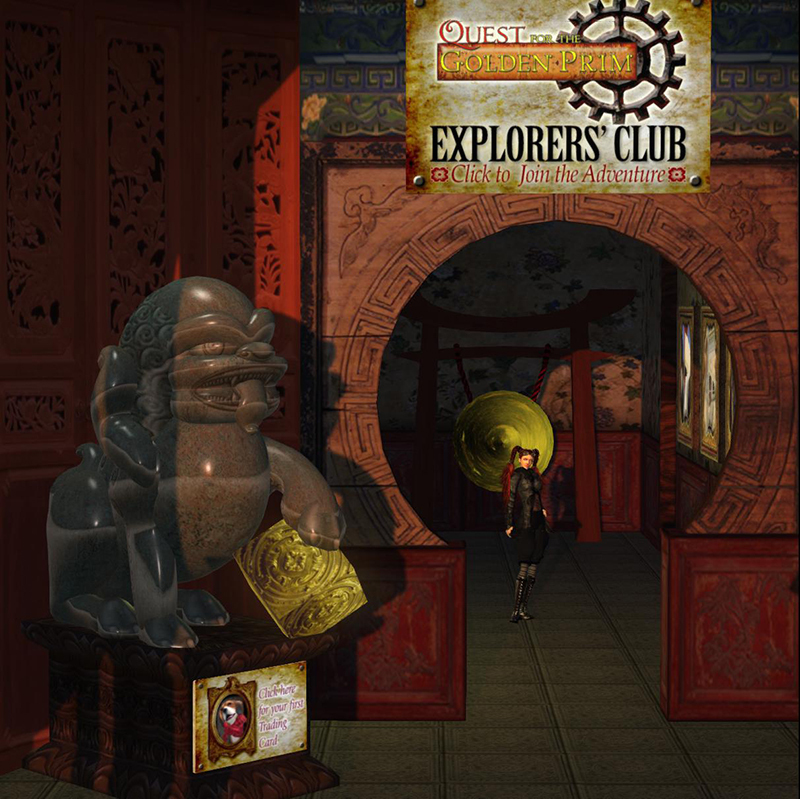 In fact, on Saturday 27th, there will be a party at the Explorer’s Club (Oriental Branch) from 2pm – 5pm to celebrate the relaunch of the Quest for the Golden Prim. And – as the party begins, we suspect that some – at least – of the Fugitives will be safely under lock and key!